The conditions associated with your stalling problem will give you clues as to what systems or components are causing your problem. So the best way to start your diagnostic is to identify, when possible, the conditions under which the stalling occurs, and focus your attention on those systems or components associated with the failure under that particular condition. The following sections discuss different operating conditions associated with stalling, and which systems and components are most likely to cause stalling under those conditions. The last section focuses on what to do when stalling happens intermittently and seemingly randomly. So, start by checking those components or systems in the section that best describes your particular engine problem, and then, if necessary, move on to systems or components described in other sections, especially if you suspect these systems need maintenance or have given you problems in the past. This approach will make it easier for you to diagnose the problem much faster and will work in most cases. Also, be sure to check the computer system for any diagnostic trouble codes (DTCs) that might be stored in memory, whether the "check engine" light has come on or not. One or more sensors may have triggered a pending code. If you don't have a scanner tool, you may be able to take your vehicle to a local auto parts store to get the codes retrieved, or the store may lend you the scanner. Better yet, buy a relatively inexpensive but quality automotive scanner from your local auto parts store or online. 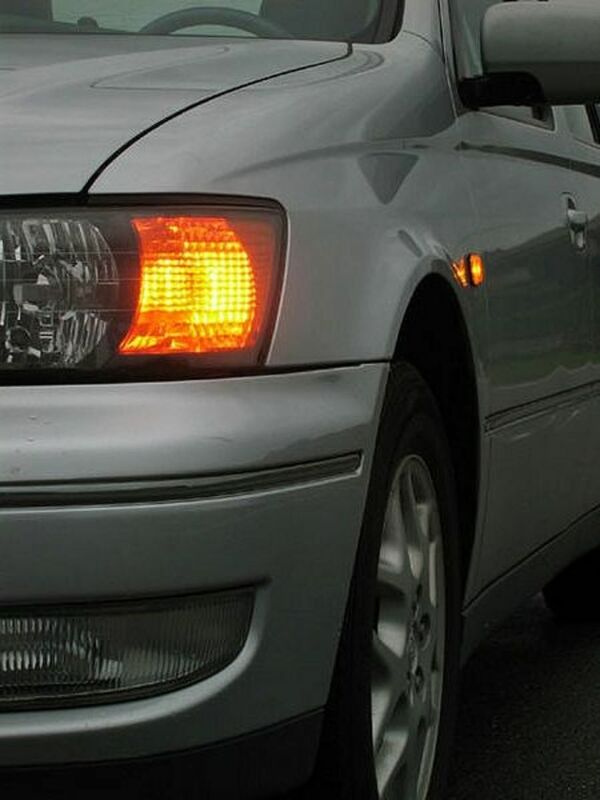 If you've seen the anti-theft light blinking recently, make sure the anti-theft system is working properly. The system itself can be the source of the problem. Sometimes you need to reset the system (make the system go through a re-learning procedure) to get the engine working right again. If necessary, consult your vehicle repair manual. Your engine may stop as soon as you let the key return from the Start to the Run position. Most of the time, this condition points to a badly clogged fuel filter or an ignition switch in need of adjustment or with worn/burned contacts. Carefully disconnect the air cleaner outlet tube from the throttle body. Ask an assistant to start the engine. As soon as the engine catches and the ignition key returns to the Run position, spray some carburetor cleaner into the throttle body. If the engine idles momentarily with the carburetor cleaner, there may be a problem with fuel delivery. The problem can be with the fuel filter, fuel pump, ballast resistor, or fuel pressure regulator. Blow through the filter in the direction of fuel flow. When necessary, use a fuel pressure gauge to check system pressure. Follow the instructions in your vehicle repair manual. If you don't have the manual, you can buy an inexpensive, aftermarket copy at your local auto parts store or online. Usually, a bad CKP will trigger the check engine light (CEL). So scan the computer for DTCs if you haven't done so yet. While, cranking the engine, pay attention to the tachometer on your dashboard. If the RPMs remain at zero, this may point to a problem with the CKP sensor. Check your vehicle repair manual to help you test the crankshaft sensor, if necessary. Even if the sensor itself is good, there could be an electrical open or short in the circuit. If you seem to be getting good fuel supply, and the previous tests didn't yield any clues, try checking the ignition switch. Ignition switch contacts wear out over time. Sometimes, you can detect problems with the contacts by holding the key forward in the Start position when cranking the engine. The engine may catch in the Start position, but as soon as you let the key return to the Run position, the engine dies. First gain access to the ignition switch. Consult your vehicle repair manual. Make sure the switch is properly connected to the electrical connector. Squeeze the switch and electrical connector together with your hand as you try to start the engine. If the engine starts and remains idling while holding the switch and connector together, you need to properly connect the switch. Even if this quick test doesn't yield results, you will still want to troubleshoot the ignition switch. Your vehicle repair manual may help you here. Also, check your throttle body and throttle plate for coking. Carbon buildup will prevent proper operation of the throttle valve. If the valve doesn't have free movement, it can cause a rough idle and stalling with light buildup. Coking usually causes the engine to die immediately after the engine starts. 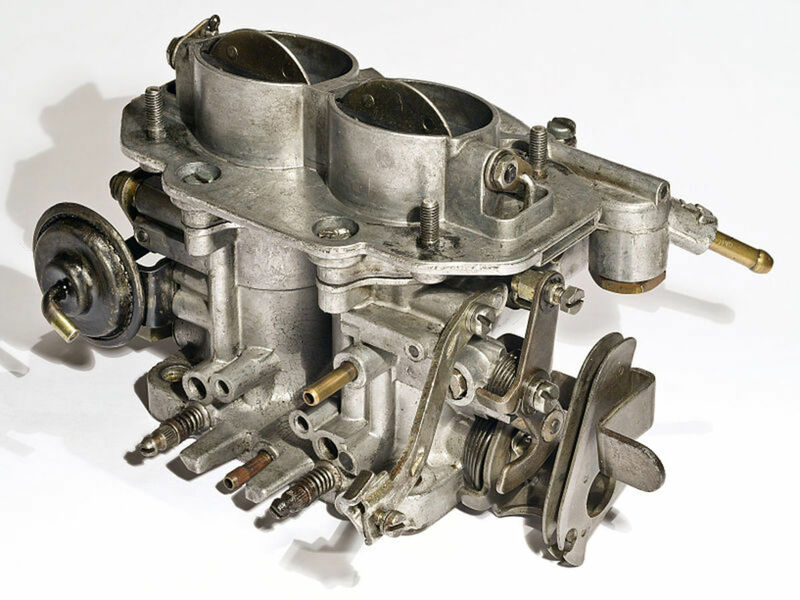 You can use carburetor cleaner to remove carbon buildup from the throttle bore and valve, if necessary. Various components and maintenance issues may cause an engine to stall when idling. The source of the problem may differ with the type of engine model or configuration. The system may have a weak spark or the spark may fail to reach the spark plugs. Start by checking the service schedule for the spark plugs and spark plug wires. Remove and check one spark plug at a time. Check the electrodes' gap using a wire gauge and compare to specs in your vehicle repair manual. A plug that burns the air-fuel mixture correctly has a brown to grayish-tan color. Other colors may indicate problems with the fuel, ignition or even mechanical problems. A wet plug may indicate too much fuel reaching the cylinder, or a mechanical problem like worn-out rings, cylinders or valve stem seals. Then, check the spark plug wires and ignition coils with the help of your vehicle repair manual. If your engine uses a distributor, check the cap as well for cracks and oil contamination. The evaporative emissions (EVAP) control system routes fuel vapors into a canister and then to the intake manifold where they are burned along with the air fuel mixture. But a system failure, especially a failure of the canister vent valve, can cause the engine to stall at idle or during acceleration. Consult your vehicle repair manual for valve testing procedures in your particular vehicle model. The positive crankcase ventilation (PCV) system purges blowby gases from the engine. Most PCV systems make use of a small valve to route blowby gases back into the intake manifold to be re-burned. Over time, the valve may get stuck open, causing too much air to flow into the intake manifold during idle or acceleration, which can cause the engine to stall. You can easily remove the valve and check it by shaking the valve. If the valve doesn't rattle, probably the valve is stuck. But this common test doesn't work for all models. Consult your vehicle repair manual, if necessary. The TPS monitors the angle opening of the throttle valve and sends this information to the electronic control module (car computer). The computer uses this information, along with signals from other sensors, to adjust air-fuel ratio, ignition timing and other outputs. Most TPS units use a variable resistor with several contact points that can wear out and fail after miles of service. When the contacts open, it may cause the computer to lean the mixture too much and stall the engine. A bad TP sensor usually triggers a diagnostic trouble code (DTC). So you can retrieve the code from the computer using a scanner tool. Unplug the sensor electrical connector. With the engine off, measure resistance across the sensor terminals with the throttle in closed position, at half throttle, and at full throttle. Compare your resistance measurements to the specifications listed in your vehicle repair manual. In most cases, the problem here is associated with the idle air control (IAC) valve. First, unplug the IAC electrical connector. Turn the ignition key to the On (run) position but don't start the engine. Set your voltmeter to 20 Volts range (or above 15 Volts) on the DC (direct current) scale. Connect your black meter lead to ground (engine metal surface or battery negative post, for example) and with the red meter lead probe the terminals on the harness side. You should get around 10 to 12 volts, approximately, from one of the terminals. This is the incoming signal from the engine control module (car computer). If not, there are problems in that side of the circuit. 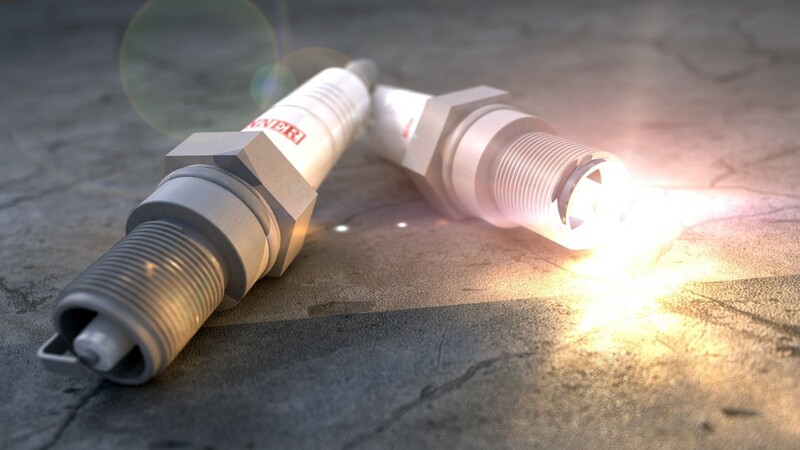 Now measure the condition of the valve by measuring resistance across the IAC connector terminals. Set your voltmeter to ohms for this measurement. You should get anywhere from 6 to 13 ohms of resistance. Check for resistance from each IAC connector terminal and the IAC valve body with your voltmeter. You should get around 10,000 ohms of resistance. 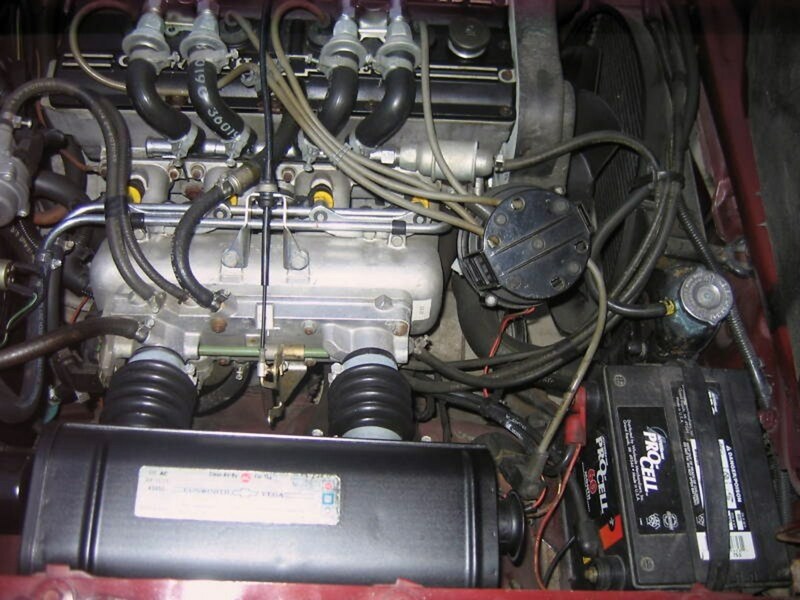 A blocked IAC may cause the engine to die as soon as it starts if the valve sticks close. IAC valves may fill with carbon deposits overtime, preventing the pintle from moving, or blocking valve passages. On most vehicle models, the IAC valve is readily accessible and can be removed easily by unscrewing a couple of mounting bolts. First, turn the ignition key off and remove the key. Unscrew the valve mounting bolts and remove the valve from the vehicle. Check the valve's pintle and housing for carbon buildup. 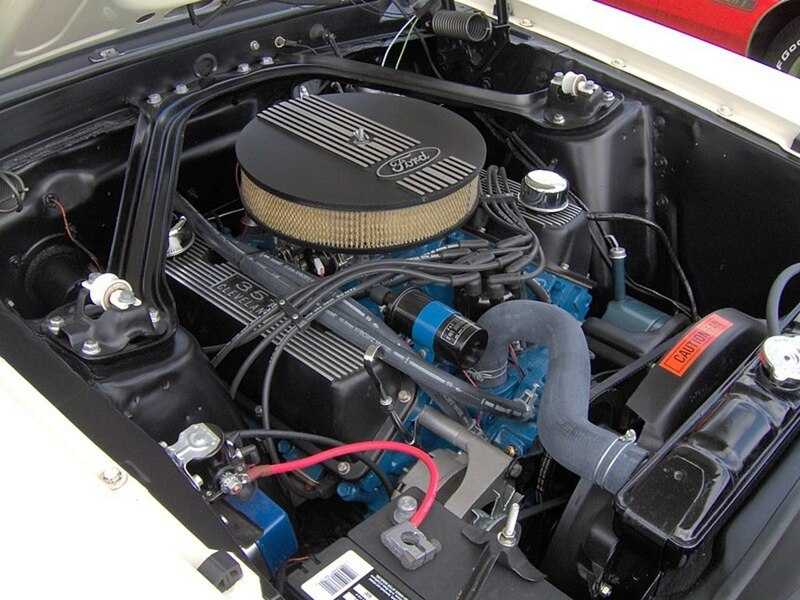 If necessary, clean the valve with carburetor cleaner and a soft rag to remove deposits. Also, check the valve O-ring. It should be soft and in good condition. Otherwise, replace it. Consult your vehicle repair manual for the recommended testing procedures for your particular vehicle model, if necessary. Consult your vehicle repair manual, if necessary. The ECT measures engine operating temperature and sends this information as electrical data to the computer. The car computer uses this information, and information from other sensors, to adjust ignition timing for better engine efficiency. Thus, a bad ECT sensor can have a direct impact on engine performance. If the sensor causes a lean air-fuel mixture the engine may idle rough or stall. Most ECT sensors use a thermistor to vary the voltage signal sent to the computer according to engine coolant temperature. The higher the coolant temperature, the lower the sensor resistance and higher the signal voltage. Locate the sensor. It's usually close to the thermostat housing. 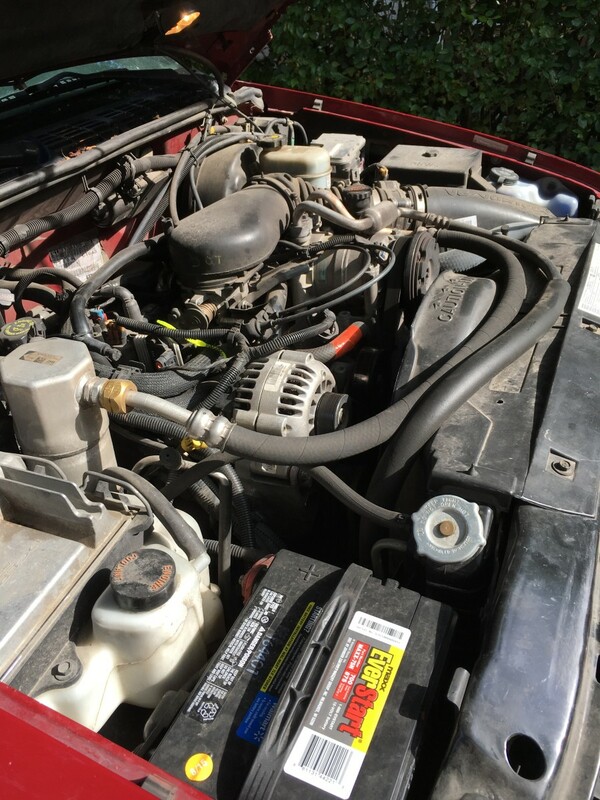 With the engine turned off and cool, unplug the ECT sensor electrical connector. Set your digital multimeter (DMM) to the ohms scale and measure resistance across the sensor terminal. Make a note of the resistance value. Plug in the sensor electrical connector and start the engine. Let the engine idle for about 15 or 20 minutes so that it reaches operating temperature. Unplug the ECT electrical connector and measure resistance across the sensor terminals as you did in step 3. This time, sensor resistance should be considerably lower. For example, depending on your particular sensor configuration and engine model, the sensor may have 40K ohms when the engine is cold but 2K ohms when hot. Compare your results to the specifications listed in your vehicle repair manual. A failing ECT sensor can trigger the check engine light. If your sensor checks Okay during your tests, but the computer says there's a problem with it, check the sensors circuit between the ECT and the computer for bad connections or damaged wire. Also, check that the computer is sending the correct reference voltage to the sensor. Unplug the ECT sensor electrical connector. Turn the ignition key to the On position, but don't start the engine. Measure the voltage at the harness connector (the one leading to the computer) with your voltmeter. Usually, you should read about 5 volts at the connector. If not, there's a problem in the circuit. The exhaust gas recirculation (EGR) systems reintroduces exhaust gases into the combustion chambers to reduce engine temperature and poisonous emissions. It is common for the EGR valve passages to get blocked from carbon buildup. Carbon deposits may prevent the valve from closing, causing the engine to stall at idle. Also, an EGR valve may leak through the base, causing the engine to stall at idle, at deceleration, or during a quick stop. If you've never checked under the valve, or it's been a few years since you last checked, it might be a good idea to take a look now. But make sure to have on hand a gasket replacement. You may need to install a new one. If you can't find one for your particular vehicle model, you still can buy gasket paper at your local auto parts store and make the gasket yourself. Most EGR valves are accessible and not difficult to remove. Check the EGR valve configuration for your particular model, though, to make sure you have all the tools necessary for the job. Usually, all you need is a couple of wrenches, a ratchet, the appropriate socket sizes and, sometimes, a pipe wrench to disconnect the valve from the exhaust pipe. Consult your vehicle repair manual, if necessary. 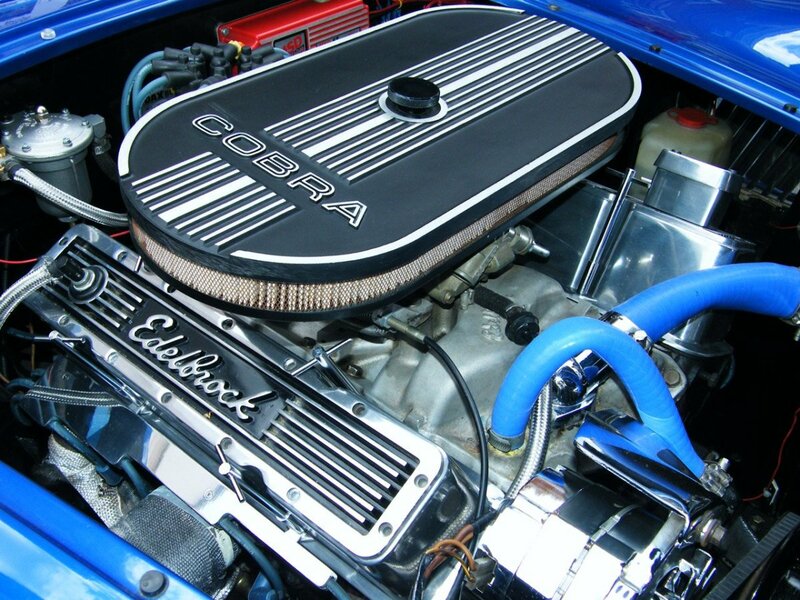 Remove carbon deposits from under the valve and intake ports using carburetor cleaner. Make sure not to allow carburetor cleaner to reach the valve diaphragm or any electrical circuits, depending on your particular model, or you may ruin the valve. Reinstall the valve using a new gasket, if necessary. Depending on your particular EGR valve configuration, you probably can stick your finger through the underside of the valve and try to move the internal diaphragm. If the diaphragm doesn't move, it may be stuck. Operate the accelerator linkage with your hand to increase engine speed. 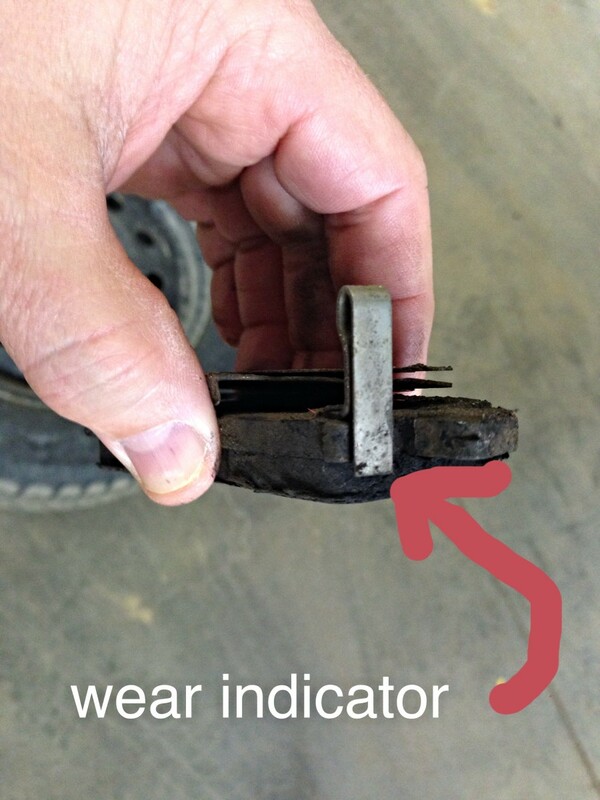 You may be able to see the diaphragm moving using a mirror placed under the EGR valve. If you can see the diaphragm with the mirror, but you can't see it moving as you operate the accelerator linkage, the diaphragm might be stuck. You can also use a hand-held vacuum pump. You can do this test with the engine off and using a mirror to watch diaphragm movement. Disconnect the vacuum hose form the valve and connect the vacuum pump instead. Apply about 15 in-Hg of vacuum to the EGR valve while watching for diaphragm movement with the mirror. If the diaphragm doesn't move, it might be stuck. Another cause for the valve diaphragm to fail is wear or damage that causes it to leak exhaust gases. A quick way to test for a leaking diaphragm is using carburetor cleaner. Block the wheels using wooden blocks. Set your transmission to Park (automatic) or Neutral (standard). Start the engine and pop the hood open. Spray a quick burst of carburetor cleaner under the valve, towards the diaphragm. If the engine RPMs increase when you spray, the diaphragm is leaking and you need to replace the valve. 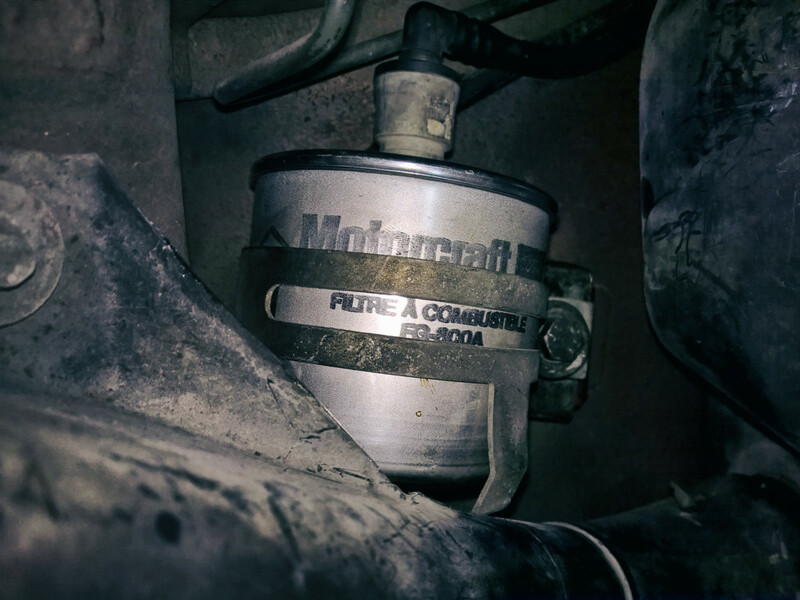 One of the most common problems with a catalytic converter is a plugged unit. The internal substrate becomes partially restricted or disintegrates. Usually, problems with the catalytic converter trigger the check engine light (CEL). The computer may store a P0420 through P0423 code. If you find a catalytic-converter-related code, do troubleshoot the catalytic converter before replacing it, to confirm that the cat is in fact bad. Catalytic converters are expensive and you need to make sure that some other components is not involved in the problem. If necessary, consult your vehicle repair manual. Many vehicles equipped with TBI systems also have an IAC valve controlled by the computer. You can use the test described in the previous section, if your vehicle has an IAC valve. Usually, you can adjust idle speed by hooking up a tachometer (some digital multimeters have this feature) to the engine. Then, you can turn the idle speed screw on the throttle body or carburetor until the RPMs are set according to specifications. Locate the idle mixture screw. With the engine off, bottom the screw. Back out the screw 2 1/2 turns. On some carburetor models, you may also need to adjust curb idle speed. Consult your repair manual. This may indicate problems with the fuel system. The following video shows an engine with this problem. An engine can also stall when reaching operating temperature or a few minutes after a cold start. It usually happens when an electrical "open" exists in the internal circuit of one of these components. After a few minutes of operation, heat may cause a coil or wire to expand and loose electrical contact. You may not be able to start the engine again until the heat in the troubled component has dissipated. Later, when heat causes the open to manifest itself again, the engine may stall again. Trying to find the faulty component can be hard. But here are a few simple procedures to get you going. Disconnect one of the spark plug wires from its spark plug. Place the tip of the wire about 2 inches away from the engine surface or a metal bracket using a pair of insulated pliers. Have an assistant crank the engine and see if there's spark. You should see a strong, blue spark between the tip of the wire and ground. 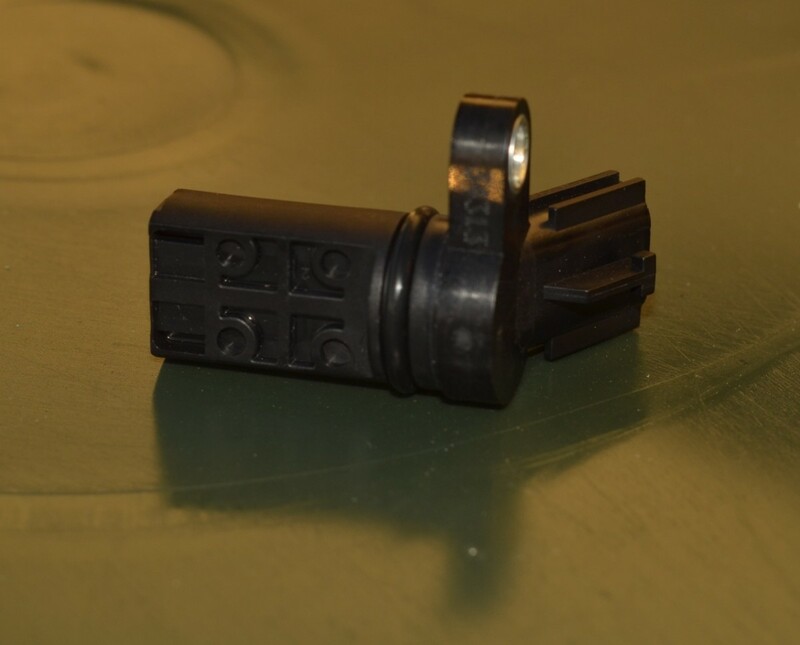 If there's no spark or you need to have the wire about 1/4 inch close to ground for a spark, probably the fault is with the ignition module, ignition coil, CKP or CMP. If you have a fuel pressure gauge or can borrow one from your local auto parts store, connect the gauge and idle the engine. Monitor the gauge and see if the fuel system looses pressure when it stalls. If it does, you may have problems with the fuel pump or a system component. 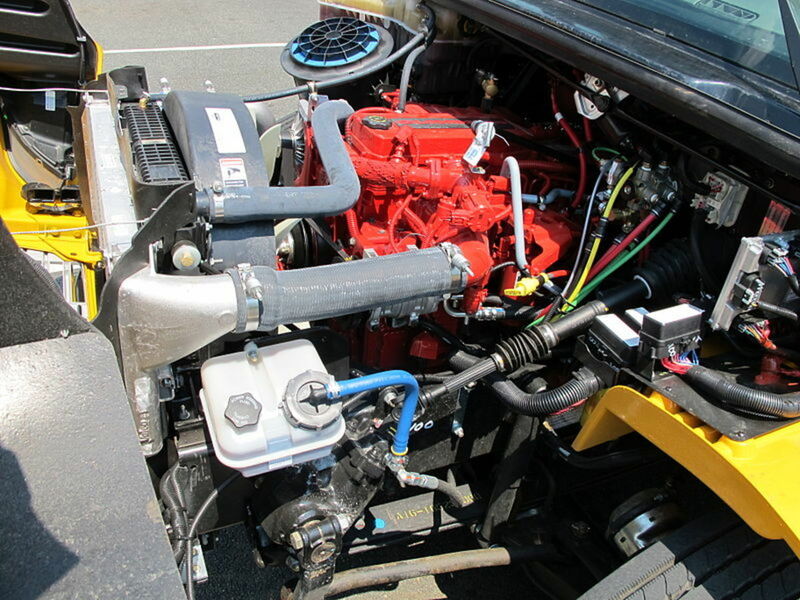 When the engine stalls, remove the air cleaner assembly and spray some carburetor cleaner or starting fluid at the throttle and try to start the engine or have an assistant crank the engine while you spray a burst of carburetor cleaner into the throttle body. If the engine catches or starts for one or two seconds when you spray the fluid, then you may have a problem with the fuel pump or another system component. Check the fuel system with the help of your vehicle repair manual. A bad camshaft position (CMP) sensor can produce different types of symptoms and cause the engine to stall immediately after starting or intermittently. 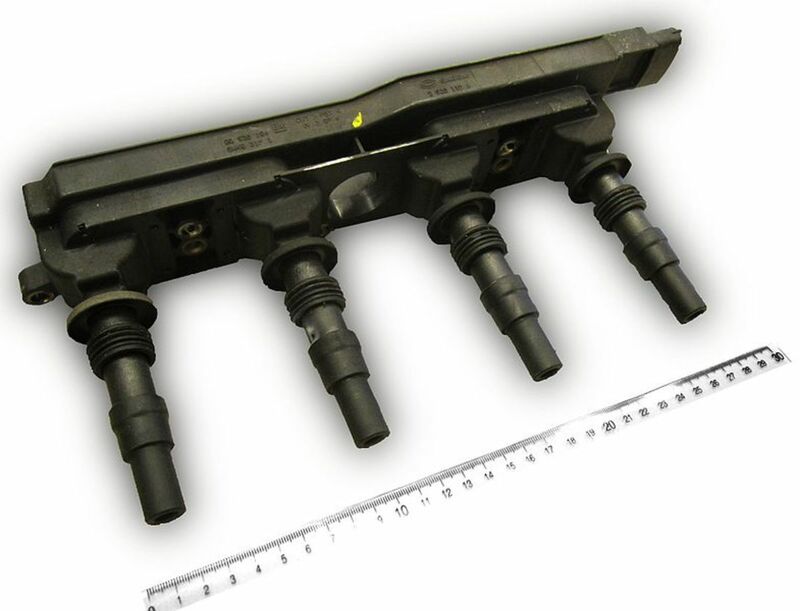 A bad camshaft sensor is likely to trigger the check engine light (CEL). Even if you don't see the CEL illuminate, scan the computer memory for diagnostic trouble codes (DTCs). Common bad camshaft DTCs range from P0340 to P0344. 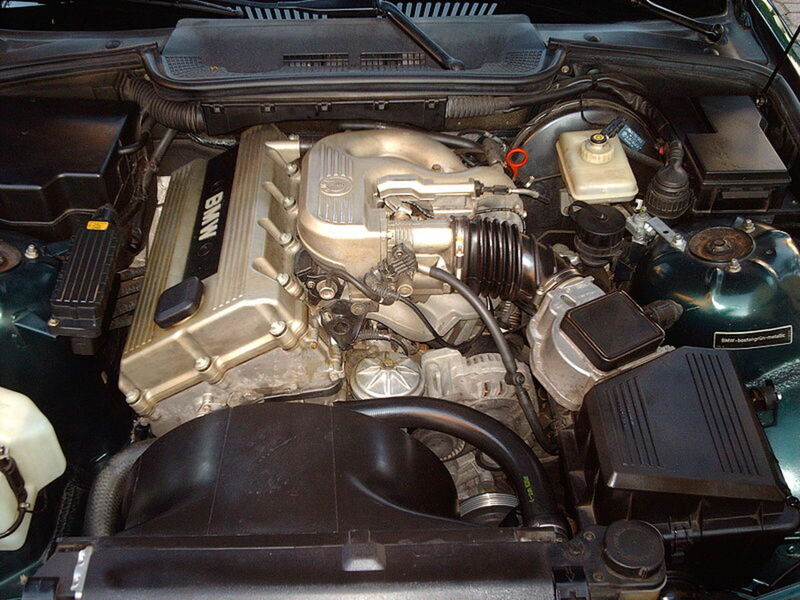 Consult your vehicle repair manual to locate and test the camshaft sensor, if necessary. If you've noticed engine misfires, this might be the cause for the engine to stall. 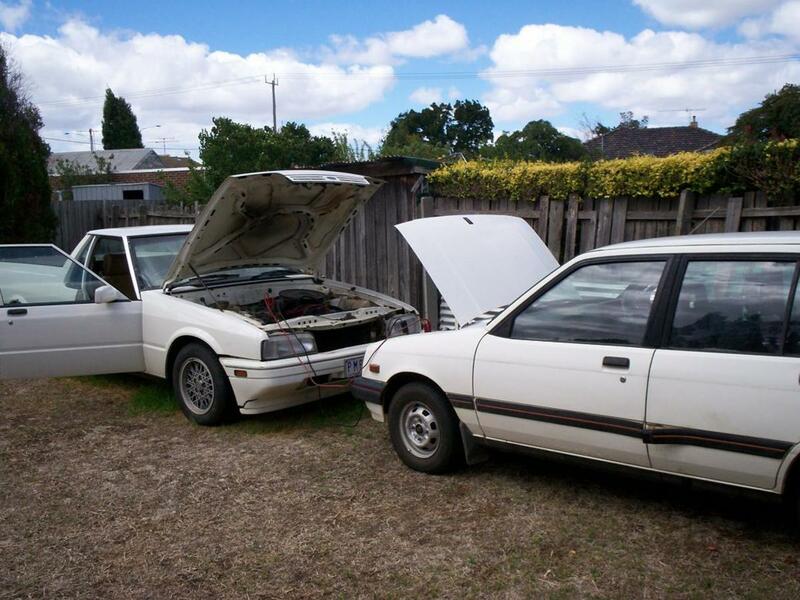 Check this other article to help you diagnose the source of the misfire. Remove it from its housing. Place the filter against the sun or a good source of light. If the light can barely get through the filter element, or not at all, the filter is clogged and preventing proper air flow into the engine, causing it to stall. An engine stalling issue can also come from a vacuum leak problem. A vacuum leak can upset sensors or actuators that depend on vacuum for operation: for example, the manifold absolute pressure (MAP) sensor, exhaust gas recirculation (EGR) valve or mass air flow (MAF) sensor. The leak can happen because of loose or damaged hoses or gaskets. Testing one of these sensors requires checking the vacuum hose, electrical connection and wires, and testing the sensor itself. Consult your vehicle repair manual. On a MAF sensor, check for a dirty sensing element. You can clean the sensing element using MAF sensor cleaner or electrical contact cleaner. Follow the product instructions when using this type of cleaner. Vacuum leaks usually make a hissing sound but you may need a mechanics stethoscope or a length of hose to listen and locate potential vacuum leaks. Check that all vacuum hoses are properly connected. Check the condition of each hose. Use the stethoscope or length of hose to listen for leaks along the vacuum hose and connections. Trace each hose with your hand to feel for potential damage: soften, harden or irregular spots. Check for vacuum leaks around the intake manifold gasket and throttle body as well. If your engine starts but won't stay running, you want to make an accurate diagnosis as soon as possible. Making a diagnosis can be hard, especially when you don't have much experience in car repair and the source of the problem can be in one of several systems. Use the strategies outlined in this guide. They'll help you repair your car faster by having you concentrate on those systems more likely to give you trouble. Where is the problem when, after driving, I stop and it doesn't start until I give some time. How would you diagnose my car's problem if my car will start again after some time? If the engine cranks but won't start, check for spark and fuel pressure. If it doesn't crank at all, check the battery condition. Check for DTCs codes, even if you haven't seen the check engine light come on. There might be a pending code. Usually, when the engine warms up and then stops, it is an indication of a problem with an ignition coil, ignition module or even the fuel pump. Allowing time to cool, the component will function again. Try some of the tests described in section IV of the post. May car engine stalls while idle unless you press the accelerator. This indicates problems with the fuel system. How do you fix the fuel system? My car won’t turn over. I used starting fluid and it started up, then immediately cut off. What can be the reason for that? If the engine doesn't turn over, there could be something wrong with the starter motor or the engine is seized. But, if the engine fires up with starting fluid, then check for fuel pressure. Probably not enough fuel is getting to the cylinders. What does it mean when the car gets started when it is cold but not when it is hot? Check the connections, wires and cables in the staring circuit. They should be clean and tight. Why does my car start and idle for 3-5 minutes before dying? The spark plugs and fuel filter were replaced. The carburetor was taken off, checked and cleaned. The distributor was taken off and cleaned as well. It still does not want to idle entirely after starting, so it cannot drive at all. Please help as the mechanic can't seem to figure out whats wrong with my car. Have the ignition system checked to make sure it has a good spark. Check the canister vent valve, PCV valve, TPS sensor, and IAC valve. My VW T4 runs completely fine, but when it’s been in hot weather, or indeed damp weather, it starts and instantly dies. This is intermittent. Sometimes after it dies, if you try again it can start straight away, or you can be waiting for half an hour before you can start it. Once started it runs fine. Do you have any ideas? Usually, when a car struggles to run in damp weather, the problem is with the ignition system. A coil or cable in the system is probably leaking the spark to ground. What can make a car just switch off and the battery light to go on in the instrument panel? I have tested the battery and it is good. The most common reason for this is a bad alternator. Have the charging system tested. Why does my car only start in the morning? Check for any DTCs in the computer memory first. You may need to take a look at fuel pressure or ignition spark after the car has warmed up. Maybe there's a problem with the fuel pump or an ignition coil. What would be the problem if the engine dies at intersections when reverting to first gear? I replaced the carburetor. The carburetor may need an idle adjustment. Check the manual, if it came with it. Or look for it online. I have a 2005 Park Avenue that keeps stalling randomly. At first, it would only stall while warming up but ran fine after it was restarted. Now, it starts and will stall while driving. Sometimes I can drive across town before it stalls, and sometimes I can only make it a few blocks. After it stalls, I have to wait about an hour before I can keep it running. Should I start with the crank position sensor? Check your camshaft position sensor. There are other items you need to check as well like misfires, vacuum leaks, and a blocked air filter. This other post on vacuum leaks diagnosis may help. Make sure to scan your computer memory for trouble codes, even if the check engine light is not on. There could be pending codes that may guide you here. If the engine stalls after it reaches operating temperature (about 15 to 20 minutes), there could be a problem with the fuel pump or an ignition module. The idle air control (IAC) valve may be faulty. You can test it by connecting battery voltage using jumper wires. The valve controls air flow by rotating the throttle valve in idle. Hope this helps. 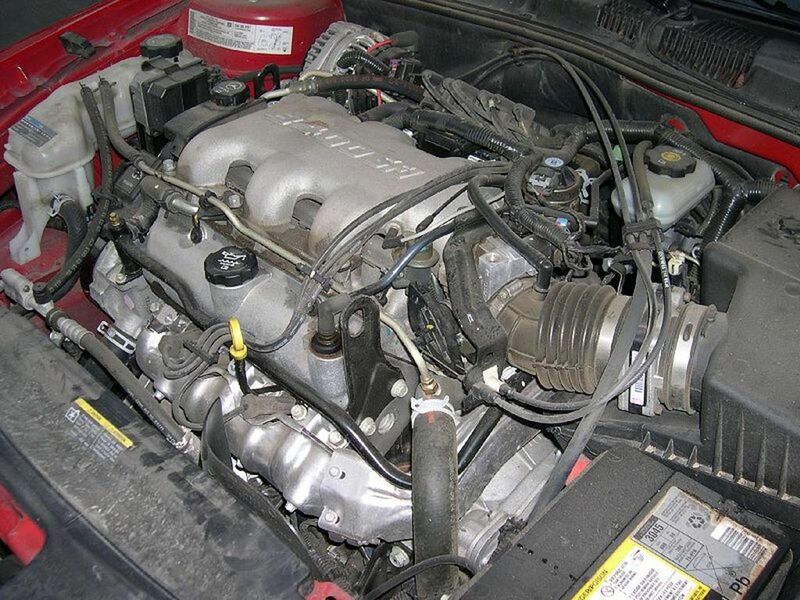 Ok i have a 2003 grand am gt and they key wont crank it over but when I'm jump the starter solenoid it will start but only will stay running if i spray starting fluid in the air filter if not it will just start and die what do you think the problem is?? The charging circuit is similar. Test battery positive to battery terminal on the alternator, and then alternator case to engine ground using a multimeter. Hope this helps. I have a 1998 Ford Taurus. It will usually start if I use an external battery supply jumper thing. So everytime I drive it, I jump the car. However, about 20% of the time, I back up the car and just as I start to roll forward the whole car just dies on me. Lights go out, everything. Occasionally it dies but then starts up again immediately, especially if I already have my foot and the gas, but not always. The other day I was going down the highway and the dashboard lights kept coming on and going off, it felt like the car was turning off and then turning back on over and over again. It's not a bad alternator or battery, I just had those checked minutes ago at Auto Zone, and I had no lights, radio, fan or heat going when that happened, so it's none of those problems. Any thoughts? The problem seems with the fuel delivery, according to the tests. Usually, a failing crankshaft will throw a trouble code, if the computer was able to "catch" it on time. Do you know if there are any trouble codes stored in memory (check engine light on)? You need a scan tool for this. Even if the check engine light is not on, it’s a good idea to check for pending codes. Most auto parts stores will pull the codes for you at no cost. But, you may not be able to start and drive the car to get there. If there are no codes stored, other potential issues could be a loose fuel filler cap or a faulty fuel pump. Unfortunately, getting to the crankshaft position sensor requires removal of the transmission on this model. But the mechanic should be able to test the crankshaft sensor to see if it is any good. Using a capable scan tool, engine speed can be checked while cranking the engine. Usually, an engine that doesn’t reach a speed anywhere between the 100 and 500 rpm would indicate a problem with the crankshaft position sensor. You may want to get a second and third opinion, just so you get an idea of how other shop would approach the diagnostic. Thanks for the comment. I appreciated. Thank you so much. That was the most simple, straight-forward and comprehensive thing I have ever read. All sites should be that helpful and written that well. You would make a great instructor. You just gained a new fan and rest assured, I will let people know. Probably the combustion chamber is burning coolant. May be a blown head gasket, cracked head or block. i have a mazda rustler 2002 bakkie. I started the car and white smoke came from the air fliter. now my car starts but cant idle. and it sounds different (blowing sound). Anyone know what this could be? Check fuel pressure before changing any other components. Make sure the fuel filter isn't clogged and the pressure regulator is still working.. I have a 1999 ford taurus that will start and run for about 2 minutes and then dies. She has replaced plugs, vaccum sensor, pcv valve, mass airflow sensor has been cleaned as well as egr valve. The vehicle takes awhile to start after it dies.. Sometime it causes trouble with the transmission, but more likely you won't be able to start the car. How do we know when gear brainbox is not working? There could be a problem with the ECU setting or an idle air control solenoid/valve. If the IAC is bad, you'll need to replace it. But look under it and check for carbon buildup. This is a common problem. A shop can check if the problem is with the ECU. This is usually a quick fix. If you mean the car dies after releasing the ignition key after the engine fires up, then possibly there's a bad ignition switch connection. If the car idles for a second or two and then dies, there could be other problems. First, whether the CEL has coming on or not, check for trouble codes that may be store in memory. If you have an pre 2000 model, you may want to be sure the fuel system is working properly; but there could be a number of things that can prevent your vehicle idling. In no particular order: faulty coolant temperature sensor, bad crank position sensor, MAF sensor, cam sensor.